Low-cost home theater seating doesn’t have to be something that you merely make the most of out of necessity. 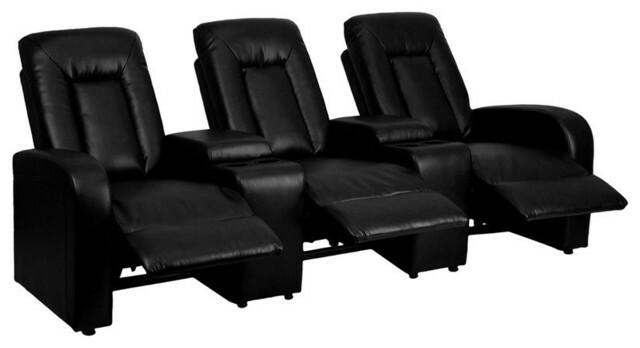 Low-cost home theater seats can be found without any deficit in comfort, style and stability. When made by the right manufacturer, affordable home theater seating can satisfy to the same degree as top-shelf seating packages. Affordable home theater seats can not only provide the same comfort as more expensive models, but they can also possess the same technological conveniences as well. 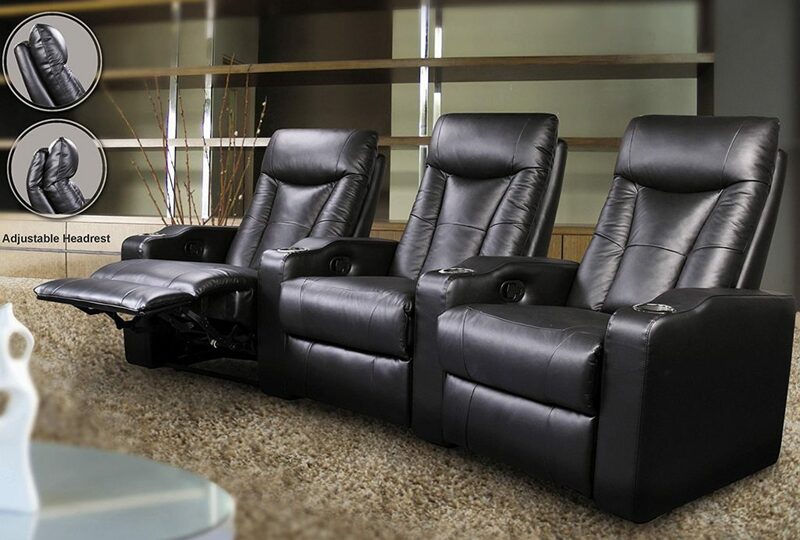 The following are some of the best options for affordable home theater recliners to buy online. Seatcraft’s Innovator seating package features three rows of black bonded leather sofas. Each of the sofa seats is capable of power reclining action, complete with adjustable headrests and in-arm storage as well. The middle seat can fold down into a table that has both AC power and a charging station for USB devices. 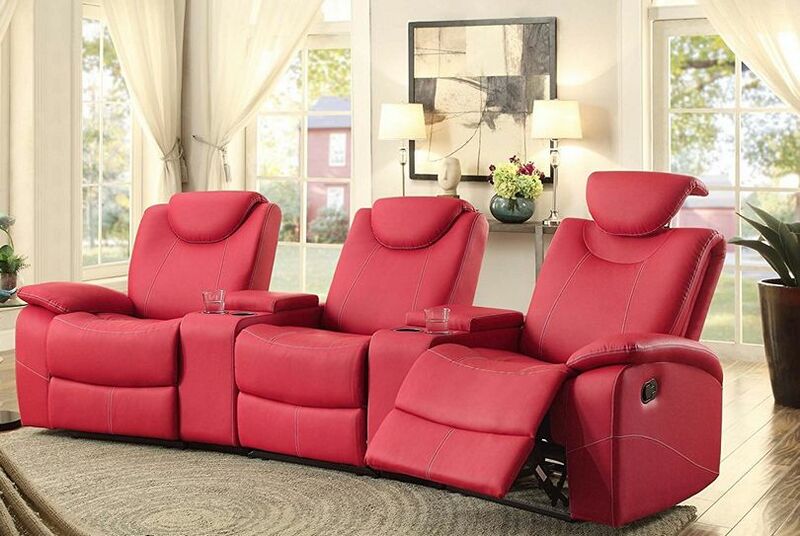 This contemporary seating package features three push back recliners. Each of the recliners can be conveniently shifted into multiple reclining positions and provides ergonomic relief with plush back cushions. 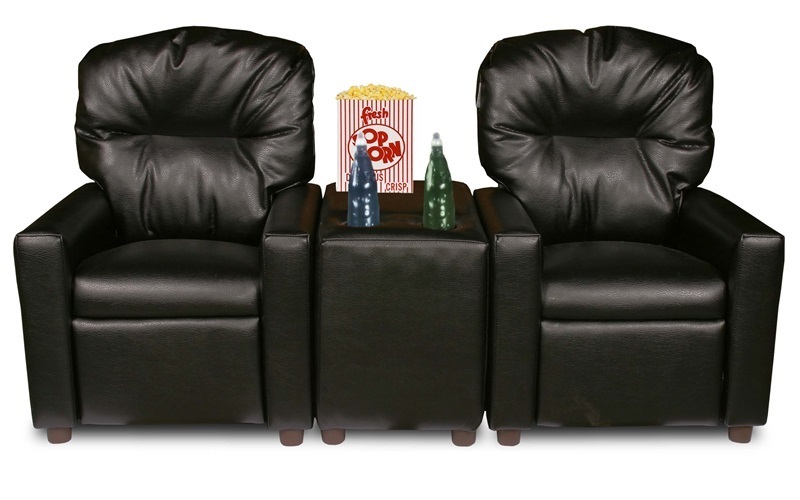 For convenience, the recliners each also have two storage consoles and two cup holders apiece. This theater seating package has been made with triple reclining motion. Thanks to the triple reclining motion and the curvature lines of the seats, the theater seating’s comfort and viewing angle convenience are both optimized. The seats also feature adjustable headrests that can be extended by as much as six inches. Dozydotes’ theater seating package strongly recommended for use by children between the ages of 2 and 9 years old, making it a great choice for family movie nights. The chair dimensions of this child-accommodating theater package are 28 H x 25 D x 23 W, and the bench height dimensions are 18 H x 20 D x 10 W.
This Clay Madison marquee row theater seating package is made with white base lighting and heated seats, enhancing both the comfort and ambiance of your home theater viewing experience. 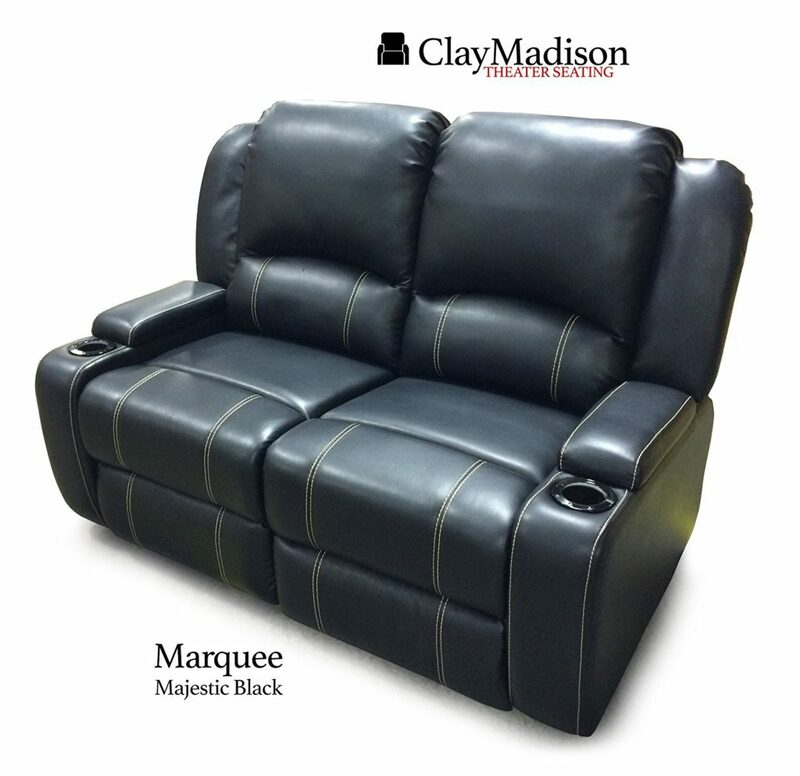 Each of the seats can be manually adjusted between three comfortable recliner positions. 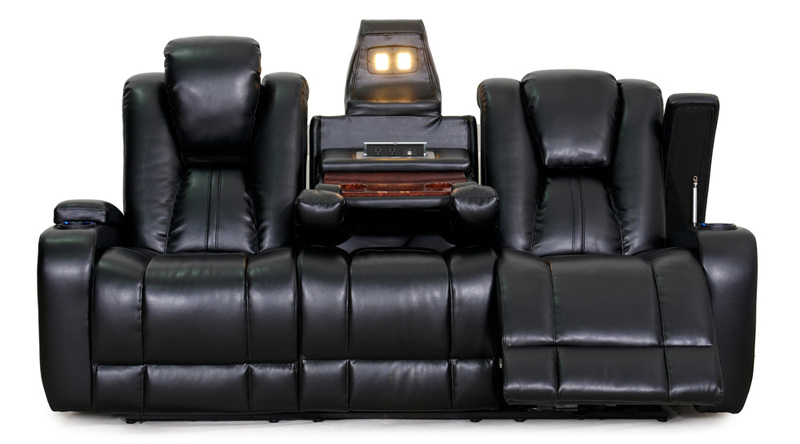 Coaster Home Furnishing designed this home theater seating package with a generous amount of convenient features. The power sofa seats are made with hidden LED lights, power headrests, drop down backrests, cup holders and a USB port. The sofa set’s technological implementations can be adjusted with touch controls. 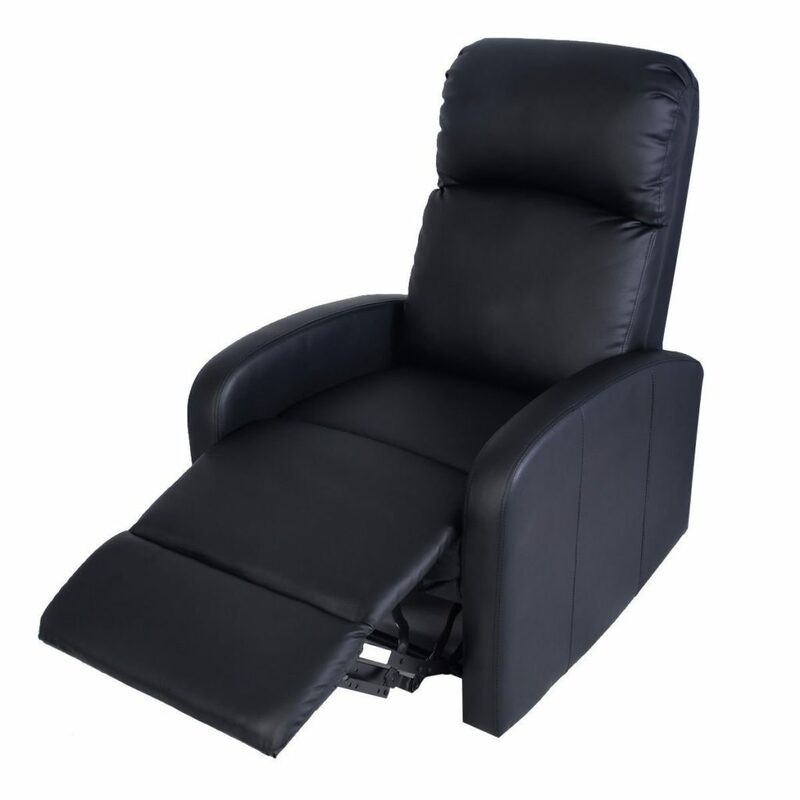 This Giantex push-back recliner has been designed with a heavy-duty steel mechanism. The comfort of the recliner is increased with foam padding and back cushions. Overall, the recliner is a skillful intersection between sturdiness and convenience, polished with attractively refined style. The black leather upholstery is not only fashionable, but entirely eco-friendly. Coaster’s contemporary 3-seated theater seating package has a casual, contemporary style. Some assembly is required at first, but after it’s been put together, its a fine and long-lasting addition to any home theater system. The leather recliners feature high back cushions, padded headrests, and a full-body foundation of comfortably ergonomic support. 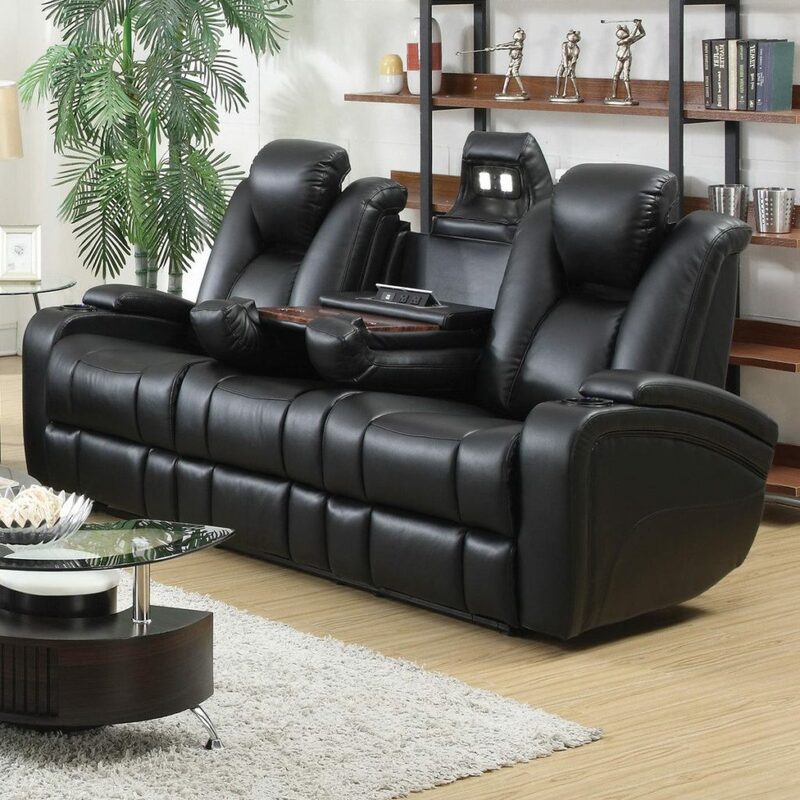 The Homelegance double reclining loveseat has a plush microfiber seating area and a faux leather side area. The arms, seats and backs are overstuffed with high-density foam that keeps them well-cushioned and comfortable at all times. 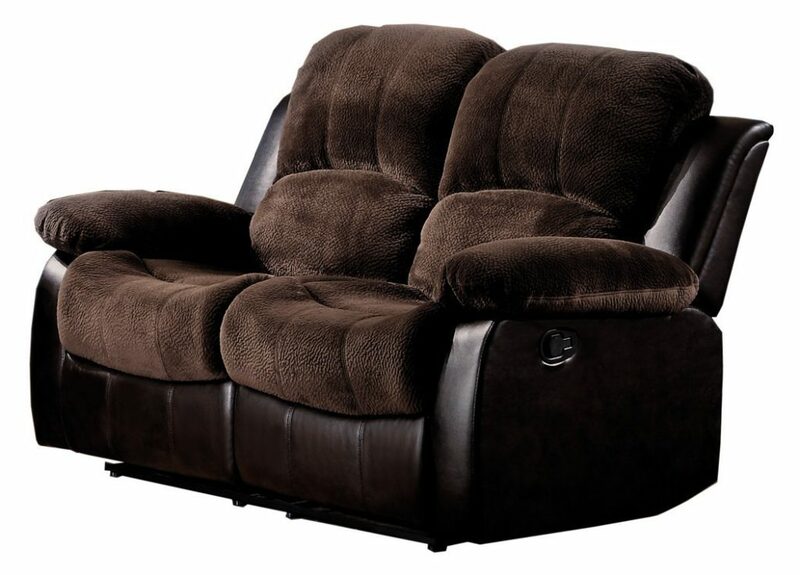 The recliners can be easily operated with the lever action reclining mechanism. 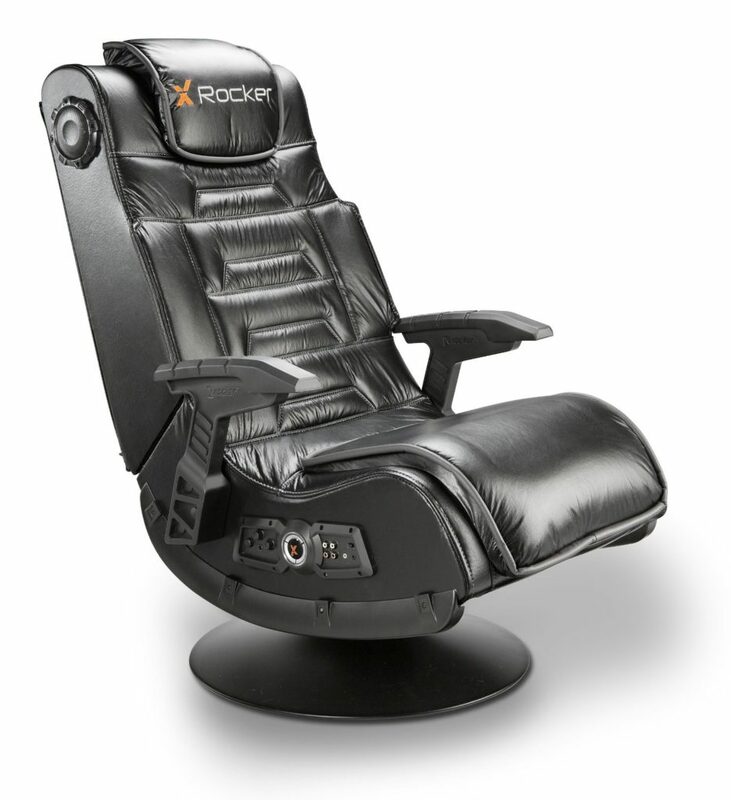 The X Rocker Pro Series video gaming chairs can be connected together to intensify the experience of group gaming sessions. The chair has been generously outfitted with a host of convenient technological features, including a 2.1 AFM sound technology, a radio wireless receiver, and a wireless transmitter compatible with any RCA stereo source. Home theaters just aren’t complete without the right seating arrangement, and the above seating packages do more than a satisfactory job at bringing home theater systems together with style, practicality and comfort. Naturally, as above packages indicate, there’s no need to break into your savings just to get a home theater seating package that’s up to standard. Buying seats for home theaters on a budget can be done without needing to settle on the worst seating for home theaters out there. You’ll want to get a seating package that has the right features and material to accommodate your preferences, but you’ll also want to avoid overpaying for one that was made more for aesthetic appeal that ergonomics. Make sure to choose your home theater seating with the above seating packages in mind.